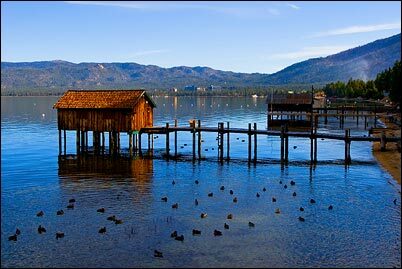 West Shore Lake Tahoe starts in Sunnyside which is south of Tahoe City, and continues through the communities of Homewood and Tahoma. Homewood Mountain Resort offers fantastic lakeviews and some of the best deals of all the Lake Tahoe Ski Areas. For the summer there are several marinas where you can launch your boat and also some fantastic mountain biking trails. Some of Lake Tahoe's finest dining establishments are located on the West Shore. The West Shore is famous for it's "Old Tahoe" feel and offers many fantastic and unique vacation rentals. Lake Tahoe Vacation Rentals on the West Shore offer some of the best views of Lake Tahoe. Please search our list of West Shore Vacation Rentals and lodging options.